With lunch approaching England are currently 52/0 in the first session of the 3rd Test between South Africa and England. South Africa have made one change to the side that played the opening two Tests, a forced change, with Steyn’s broken finger forcing him to sit out and Andre Nel is given his chance. England have made a couple of changes, bringing back Collingwood for Broad, who has looked tired and has been more effective with bat then ball, and Sidebottom returning for Pattinson. So England have gone back to 4 bowlers, with Collingwood lending a helping hand when asked, and reinforced their batting, with Flintoff staying at 7 but Ambrose dropping from 6 to 8. England do however go into the match with a lot of pressure on the team, they need to win to have a chance at taking the series, and even more pressure on individual players. Captain Vaughn has been lacking in runs for a number of series since his return, and with the team not performing the captains form comes under more scrutiny. Collingwood is under even more pressure, having scored just 92 runs in his last 9 innings. Flintoff and Sidebottom, as well as Anderson to a degree, need to prove that they can last back to back Tests, while also performing at their best. So there is a lot to gain for England, but even more to lose. As for South Africa, they go into this game without their leading bowler, and much will be expected from the rest of the attack. Steyn has been their leading light for the last two seasons, and without him the attack will be weaker, but it does give the likes of Morne Morkel to step up as the strike bowler. Teams have always had to replace their best player at some time or other, and the test to the reserve strength is a good indicator of the state of the game in that country. For South Africa the emergence of Morkel takes some pressure off the team, without him the panic at losing Steyn would have been more apparent. Morkel will get his chance to open the bowling and a good performance by him will put him in the frame to open the bowling in the near future. Another who comes into the frame is Andre Nel. Much has been made in the British press about Nel’s alter ego Gunther, who takes over from Nel once the big bowler gets thrown the ball, but in South Africa they will be looking for less antics and more substance. There is a feeling in South Africa that Nel sometimes tends to let his antics take over and tends to over do it at times. That being said Nel is the type of bowler that makes things happen. He wont rip through an innings claiming 6, 7 or 8 wickets, but tends to come on and break partnerships. Having lost his Test place to Morkel, and after the selection fiasco that lead to Langevelds international retirement, Nel will be out to prove a few things to the selectors. Expect a fired up Nel, especially in his first spell. The wicket does look a tame one, full of runs, with little on offer for the bowlers. The attack will have to be patient and keep things to plan, and wait for things to happen. Steyn’s fire power will be missed, but it gives Morkel and Nel a chance to stake a claim, and Ntini the chance to show the world that he’s still an effective strike bowler. There has been a lot of talk about Englands failings in the second Test, which they lost by 10 wickets to a far superior South Africa, from selection problems, to Vaughns form, and lack of balance in the line up. While these are points that have some merit, the selection of Pattinson was strange, Vaughn has been found wanting by Steyn, and Ambrose at 6 is too high, and Broad is scoring runs but not taking wickets. The selection of Pattinson was odd, not because he isn’t good enough, or because he’s Australian. He has done enough in a very limited time to suggest that he can bowl, be at that he has not been fully tested. The fact that he was born in England, but is an Aussie, having been brought up there, learned his cricket there, and speaks with an annoying accent, seems to have gotten to some people. Yet Kevin Pietersen is ok. He was born in South Africa, brought up in South Africa, and learned his cricket in South Africa. But he has the three lions tattooed on his body so it’s all good. He’s English now. That’s a bit hypocritical of some the English public. The main difference is that Pietersen, having been a South African with no English claim,had to qualify to play for England, and so had to play years of county cricket before he could play for the country he wasn’t born or bred in. Pattinson didn’t have to go through the slog of seasons of county cricket, and played just 11 first class games before making his debut. Most of his team mates had never seen him bowl, and that includes Vaughn, who has seen him once on TV. How is a captain supposed to handle a bowler he knows nothing about? Something isn’t right there and the selection smells a lot like desperation, and his a slap in the face to Tremlett, Hoggard, Harmison, and the young bowlers who would love to play for their country. With Pattinson hoping to get another call up, this debacle may have harmed him more then anything. Vaughn’s form has not been good. When he has to face a very good attack it becomes all the more apparent. Against the pace of Steyn he has no chance. His footwork, his balance, his timing and his confidence are all missing. If England are to post consistent big totals they need their captain at his best. The problem for now is that South Africa wont let him settle. As soon as Vaughn comes in there can be no doubt that Steyn will be brought into the attack, with Morkel or Ntini from the other end. Vaughn needs time at the crease, something South Africa will look to curb. The English bowling attack is over relent on Anderson, and Flintoff and Sidebottom, when fit. The work load is not shared amongst the attack, and with Tests coming thick and fast, and little to no recovery time in between, Anderson is very much in danger of being over used. South Africa have the luxury of Steyn, Ntini and Morkel bowling in shorter bursts and with Kallis and Harris helping to ensure they they are kept fresh and ready. Broad has shown a lot with the bat, but not as much with the ball. Unlike Flintoff, who is a genuine all rounder (and so should bat at 6) Broad is a bowling who can bat, and will be a bowling all rounder in the future. His job is to bowl though, with the batting a bonus. He needs to step up his bowling if he is to both keep his place in the Test team, and help Anderson from bowling himself into injury. Things looked so promising for England in the opening 3 days of this series. How quickly things can change, and they have been exposed brutally. It now seems that the opening 3 days where more of a very poor one for South Africa rather than a good one for England. England have a week to get their house in order before South African come right back at them. Perhaps they aren’t as good as they think they are. Last night I sat perched in row ZZ of the heaven stand at the ABSA Stadium Kingspark watching Manchester United play their second game of their pre season tour to South Africa. United, playing mainly a young, fringe team, came away with a 1-0 over Orlanda Pirates. This followed their 1-1 draw in the opening game against Kaizer Chiefs. Not “the Kaizer Chiefs” and “the Orlando Pirates” as the British media have been calling them. The South African media aren’t saying “the Manchester United.” United’s trip to South Africa ends on Saturday when they play the winner of Thursday’s match between Chiefs and Pirates. Sitting as high up as I was it was fine for following and watching the game, but not so if you wanted to make out individual players most of the time. Which was a pity as United had started with the likes of Evans, Gibson, Martin, Eagles and Campbell, and this would have been the ideal time to take a look at the youngsters knocking on the first team door. With the 40-50 thousand fans watching the game a mixture of Pirates fans and local United fans the atmosphere was loud and passionate. The loudest cheers were reserved for Tevez, who on live evidence, is the driving force of the team. The man is a bulldog, strong, aggressive and full of running. He gives it all, whether it is the Champions League final or a pre season friendly. And everyone appreciates that. While it was sad for everyone in Durban that Giggs did not feature, sad for the real United fans, it was a pleasure to see Tevez in action. Scholes had a brief cameo too. But it was the youngsters that were on show. Like I said early it is not always possible to tell who’s whom from so far up, so a full basis of a players performance could not easily be gauged, but there was enough to suggest whether or not someone could play. Evans at the back had the luxury of having Rio Ferdinand next to him. Ferdinand gets a lot of stick from United fans at times, who think he isn’t as good as he is said to be. Last nights match was a friendly, but what was very obvious was the class of Rio. He is a superb defender, a great leader, and has the touch of flair player. Rio had a calming affect on the young players in his team, and never again will I doubt his ability. TV follows the ball. In a live match you can see so much more. Rio organises the defense, and positions himself so well that it sometimes looks like he isn’t working as hard as he is. He’s world class. As for the kids, at 22 Eagles is the oldest of the bunch, and although he does look a good player he is now at an age where he has to decide if he needs to go elsewhere or continue to try for a first team place. Ronaldo, Nani and Park are all ahead of him for right wing places, and he really needs to be playing a lot more at this stage of his career. Martin, on the other flank last night, has promise, but does not look like he’s going to get in ahead of any of the first team. He took his goal well, looked to have good pace, but did lack strength at times, and also dived in for tackles a bit dangerously. He should have had a penalty to go with his goal, after being taken down in the box, but like Eagles, does not yet look like he is going to break into the team. Gibson in central midfield looks a bit more promising. He fitted in well and looked tidy and composed throughout. Already capped at international level with Ireland, he looks like the best bet from the three. Frazier Campbell upfront is wanted by Hull, who he stared for on loan last season. With United light in numbers upfront he has the best chance of the players on view to get a first team chance, should he stay. His time on loan has done him the world of good, in terms of confidence and physical development. He looks to have a bit of pace on him, which would make him something different to Tevez and Rooney, as a front player who could run onto balls. Lacked a bit of composure last night, but that will come with more games. Evans, who has played more at international level for Northern Ireland then he has for United, is wanted by Sunderland, whom he has spent much of the last 2 seasons at on loan. Fergie is said to think highly of the young defender, and while he won’t get past Rio and Vidic yet, he could find himself getting more games this season to aid in his development, particularly with Pique having left. It’s been a long time since anyone from the youth or reserves has made it to the first team squad. Brown is the last one to have made a lasting impact, while O’Shea and Fletcher have come through as squad players. It is perhaps becoming harder and harder to actual make that break through, but in truth, if you’re good enough, and patient enough, you’ll get your chance. When it come you have to take it. That will be the challenge of these young players on tour. Taking their chances. South Africa roared back to form with a formidable 10 wicket victory over England in Leeds today. After last weeks drawn Test, where South Africa endured a poor opening 3 days, and had to bat out the last 2 to save the match, they were back to top form this time. Everything went right for South Africa, from winning the toss, bowling England out cheaply on day one, putting on a big first innings score, and wrapping up the match with a day to spare. The South African bowlers did their part, after letting all done in the opening Test, by bowling England out just after tea on the opening day. Morne Morkel once again impressed, picking up 4 wickets, while Steyn foundthe direction he was missing last week, to also pick up 4. For the batsman there were big centuries for Prince, his second in the series, and de Villiers, while Smith, Amla and Boucher all got starts. 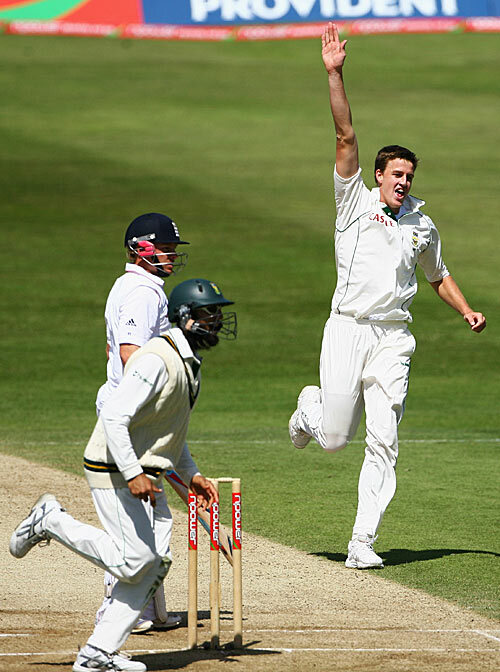 In Englands 2nd innings Morkel and Steyn picked up 3 a piece, while Ntini and Kallischipped in with 2 each. South Africa’s batting has been a particular high point thus far, bar their opening innings of the series, and5 of the top 6 have scored centuries. If you were to find any South African who has missed the series thus far and gave him that stat and asked them to guess who the miss firing batsman was, chances are Kallis would be their 6th guess. In a way that has been a pleasing aspect of the batting thus far. South Africa have been too reliant on Kallis to get them big totals over the years, and with him out of touch for once, it is pleasing to see that the rest of the batsman have taken the responsibility on themselves. It’s only a matter of time before Kallis finds his way, and, with a week’s break, he has time to work on his touch in the nets and come back more assured in the next Test. If the rest of the batsman can keep their form going, and Kallis finds his, it could be a daunting time to be an English bowler in the remaining two Tests. The bowlers for South Africa were far better this time around. With the exception of Harris, who didn’t have enough to work with. Morkel continues to show he’s a Test star in the making, Steyn was firing again, and Ntini should enough to suggest he was on the way up again. SouthAfrica are unlikely to make any changes to their team for next weeks 3rd Test, barring injury. Harris lack of wickets may tempt them to think of going in withan all seam attack, with Nel or Zondekientering the fray, but Smith would like the option of a spinner, andretains faith in Harris. This means that Pieterson and Duminy are unlikely to get a match this series, unless injury rules any of the top 6, in Duminy’s case, and Harris in Pietersons, out of the remaining matches. After a slow start to the series South Africa came roaring back to take a 1-0 lead. The confidence is up and the bowlers are getting used to English conditions. The batsman have shown great application and determination, playing to the situation rather than their own games, as Mckenzie and de Villiers have shown, andKP needs to for England. South Africa will enjoy their week off but will be itching to get back at England next Wednesday, where they will look to wrap up the series, and claim their first Test series win in England since readmission. This is an article on Hashim Amla by Donald Mcrae that was forwarded to me by a friend. 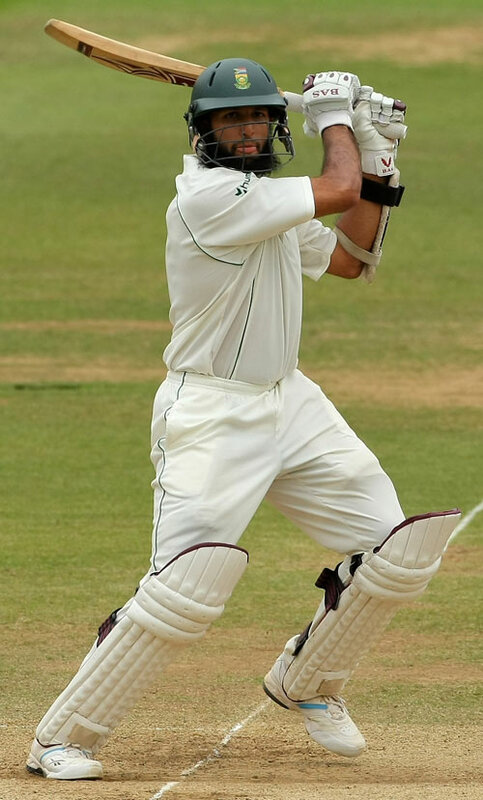 I usually don’t put anything on here that I haven’t written myself, but this article is really interesting, and offers some light on Hashim Amla the man and not just on his cricket. Hashim Amla exudes such warmth and laughs so easily that he sounds serene as he describes his tumultuous cricketing journey. Just as he has compiled two seemingly effortless centuries in the pair of warm-up matches before the first Test against England, which started at Lord’s on Thursday, so Amla explains calmly how he transcended a crude stereotype depicting him as “the terrorist” to be hailed as the next likely captain of South Africa.“I actually enjoy reflecting on all that has happened these past few years because, in a small way, it adds to our knowledge of other people,” he says lightly. And yet Amla’s name, at least until the start of this potentially riveting series, has been associated most with a story that illuminates both a personal struggle and a darker world full of fear and misunderstanding. The creeping paranoia and confused disdain fuelling a Western phobia of Islam spilled over into international cricket during an otherwise routine Test between Sri Lanka and South Africa in August 2006. Amla, trademark beard visible beneath hat and sunglasses, crouched at backward point on a steamy afternoon in Colombo as Kumar Sangakkara faced Shaun Pollock. Sri Lanka were cruising at 94 for one and it was the kind of moment in the field that could crush an immensely promising but still vulnerable young Test cricketer. Amla had just fought his way back from a long spell out of the side after his initial selection saw him dismissed as a “quota” player picked to appease politicians bent on compensating for the inequities of apartheid. For a batsman of such class it was a cruel jibe. Amla believed he had been chosen on merit alone, rather than because he was the first South African of Indian descent to play Test cricket. Sangakkara cracked Pollock’s delivery hard and the ball flew towards Amla. A dropped catch would have provided more evidence for his critics but, with an athletic swoop, Amla made a difficult chance look simple. “At about quarter to 10 I remember taking this call. It was from Dean Jones and he apologised and I said, ‘No problem.’ I thought that was the end of it. But obviously there were implications — and a lot more media questions when he got back home. Coming from South Africa, which is very sensitive to stereotyping, it was a big thing back home. It was a lesson to everybody who has hidden stereotypes. Revelling in the suggestion that Lord’s will see the best set of whiskers in cricket since WG Grace, Amla contemplates his beard proudly. But as his father and sister are both doctors, as was Grace, he is not about to claim precedence over the bearded master. “I have seen pictures of his beard but mine is definitely shorter. The optimum length for me, as a Muslim, is for the beard to be of fist-length. But it is not purely a tribute to Islam. If you go back many years the beard is a tribute to all the faiths stemming from the biblical Abraham — or Ibrahim, as we say in Islam. Recent suggestions that the 25-year-old will eventually succeed Graeme Smith as South Africa’s captain are given credence both by his supreme batting and maturity off the field. Amla was then in the midst of his own battle to secure a Test place. After making his debut in India in 2004 he looked out of his depth later that year and in early 2005 against England — scoring 36 runs in four innings. He did not play another Test for 18 months. But Amla forced himself back into contention by topping the domestic averages and insists that he never regarded himself as a “quota selection”. Such conviction was apparent when, on his return against New Zealand in 2006, Amla hit a gritty 149 — and followed it with a half-century in the next Test. His most recent hundred, when he endured seven-and-a-half hours of withering heat in India to score an unbeaten 159, underlined his burgeoning mastery. In contrast to England, who have failed to get past 400 in the first innings for more than a year, South Africa are scoring freely — with Amla and Jacques Kallis, at three and four, the cornerstones despite Smith and Neil McKenzie’s world-record opening partnership of 415 in Bangladesh. South Africa have named their provisional 30 man squad for the Champions Trophy in September. The squad contains 4 players who have not been capped yet. Those players are; the Dolphins opening bowling pair of Yusuf Abdullah and Johann Louw, Titans opening bowler Ethy Mbhalati, and Cobra’s bowler Rory Kleinveldt. It is however unlikely that any of these players will make the final squad of 15. But being named in the provisional squad is reward for some good domestic form and performances and shows that they are in the selectors minds. Herchelle Gibbs, who has lost his place in the Test squad, is named in the list and should be named in the squad. Gibbs recently questioned his international future. Charl Langeveld was not named in the list, having taken up a Kolpak option following the mess of the Indian tour selection and quota’s. Speaking of quota’s the 30 man list contains 17 non white players, each of whom has a chance to represent their country in the future and should not be rushed or used as pawns in this regard. The full provional squad is: Yusuf Abdullah, Hashim Amla, Gulam Bodi, Loots Bosman, Johan Botha, Mark Boucher, AB de Villiers, JP Duminy, Herschelle Gibbs, Paul Harris, Jacques Kallis, Rory Kleinveldt, Johann Louw, Ethy Mbhalati, Neil McKenzie, Albie Morkel, Morne Morkel, Andre Nel, Makhaya Ntini, Justin Ontong, Robin Peterson, Alviro Petersen, Vernon Philander, Ashwell Prince, Graeme Smith, Dale Steyn, Alfonso Thomas, Thandi Tshabalala, Morne van Wyk, Monde Zondeki. While South Africa remain confident that Neil Mckenzie will shake off his groin strain and play in the second Test, starting on Friday, they have said that JP Duminy will open the innings with Smith, should Mckenzie not be fit. AB de Villiers would have been the obvious choice to open, with Duminy making his debut in the middle order, but the thinking is that they do not want to make 2 changes for one swap. So Duminy will open, and de Villiers will stay at 6. This may be unfair to Duminy, a young man asked to make his debut in an unfamiliar position against a swinging ball. But given the chance to play Test cricket Duminy will bat anywhere he is asked to and hope to take his chance. While the chances are that South Africa would have gone into the second Test against England, starting on Friday, with an unchanged eleven, despite a less than impressive display in the opening Test, they may now be forced into a change with a doubt over the fitness of Neil Mckenzie. Opener Mckenzie, who scored 40 and 138 in the opening Test, has a groin strain, sustained in his mammoth, match saving, ton in the second innings. Shortly before his dismissal he called for a runner. Mckenzie, a middle order batsman, has returned to the international fold, after a 4 your absence, as an opening batsman, and has scored centuries in the three series played, against Bangladesh, India and now England, including a career best 226 against Bangladesh, when he featured in a world record opening partnership of 415 with Graeme Smith. 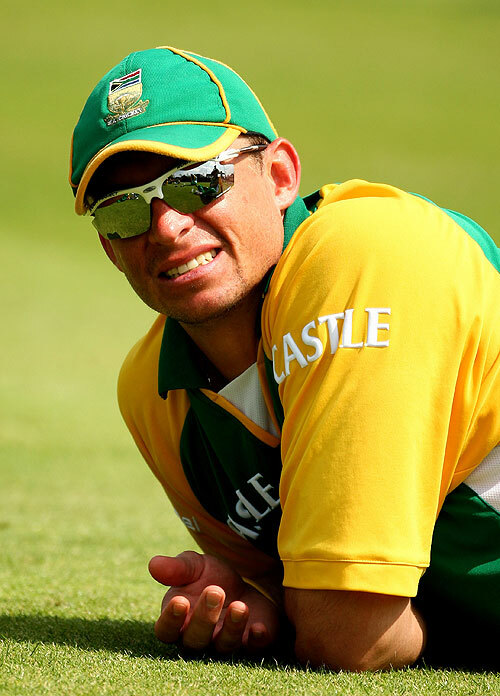 Should Mckenzie not be fit for the Test his place will go to JP Duminy, who will make his Test debut. Duminy is a talented stroke player who will have a bright Test future for South Africa, but has had to wait for his chance to break into the Test team. He has put in some solid ODI performances in the past year to cement his place in the ODI middle order. In 28 ODI’s Duminy has scored three 50’s, with a highest score of 79*, at an average of 36,35. The majority of his runs have been scored in the last year as he looks to establish himself in the South African middle order. He is seen as one of the most talented batsman in South Africa and it is just a matter of time before he makes the leap to Test cricket. He could get his first taste this weekend. Should Mckenzie not play, and while he is a doubt the South African staff still believe he will play, there is no doubt that Duminy will play, being the only batsman in reserve. The debate will be where he bats. In the opening tour match Duminy opened the batting with Mckenzie. He is not an opening batsman and it would probably be a risk to open with him as England, with it’s early swing, is a place where specialist opening batsman are needed. So Duminy should be asked to bat at 5 or 6, to ease him into the fold. The opening birth should then go to AB de Villiers, who began his Test career as an opening batsman, and is well capable of doing so again. But if South Africa want to keep de Villiers at 6, a role he is being groomed for when he takes over the glove work of Mark Boucher, there other option is to open with a middle order batsman on a temporary basis. They would look for someone who has the technique and temperament to do so in England, someone who will be able to cope with the early bowling conditions. 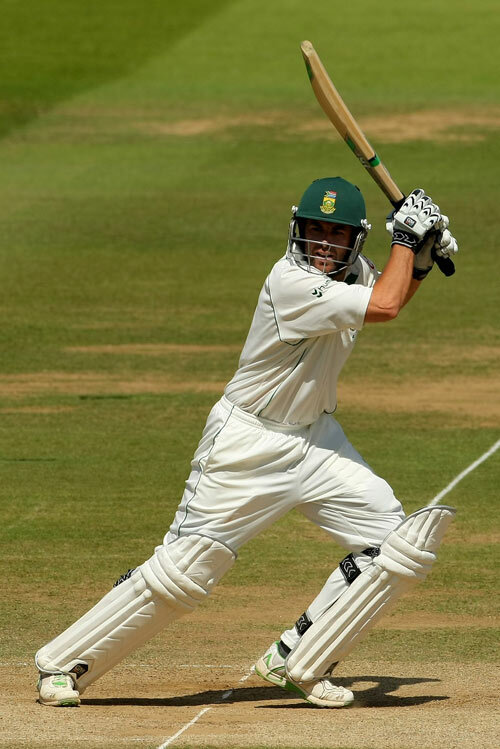 Kallis would be the best option, as he has the best technique and record of all the South Africans, and as he has batted at 3 for most of his career, is well used to going in at the loss of an early wicket, effectively opening. Those are the options that South Africa have, should Mckenzie not play. The best one would be to open with de Villiers and put Duminy in at 6. South Africa will be hoping that Mckenzie comes through his fitness test okay and is available for Friday, but should he not be, the selection of Duminy could be the beginning of a career for a new South African star. You are currently browsing the My Sports Blog blog archives for July, 2008.